Your guests will be able to instantly receive their memories via e-mail and share them on social media. The Box is always linked to the internet (via 3G/4G, wifi or cable). That way, the photos and videos your guests make are immediately available in your online account. The Box can be used seated or while standing. Just let us know which one you would prefer. Thanks to the Box' neutral design it can also be integrated in many environments like an informative exhibition stand or a blazing party. The sound of your videos is picked up by a professional microphone (SM58). 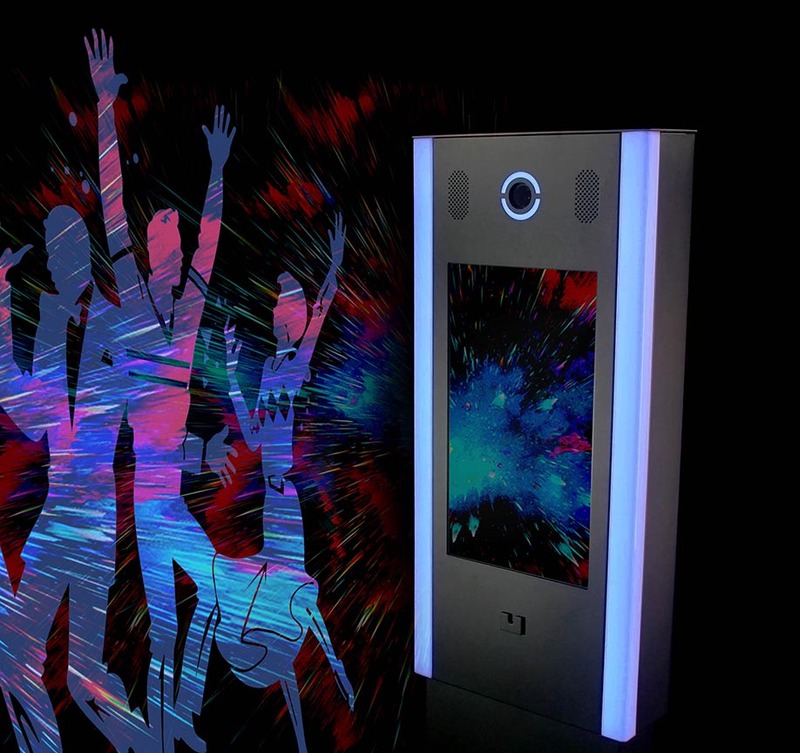 Even at the most booming party, the Box will be able to understand you 100%! An integrated printer or an external print station. The Box can print your picture on the spot or send it to our printstation that can be used during busy and crowded events. The Box is set up in such a way that your data and images are collected according to the standards of the "General Data Protection Regulation".